Data collected from many crashes shows that in a preferred impact scenario, the driver’s head, neck and torso should all remain in normal alignment. To achieve this, at the very minimum, we recommend using a seat with integrated head support, using a quality harness and wearing an approved HANS device. This is the accepted standard around the world. 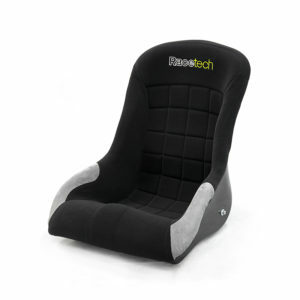 To enhance your protection Racetech produce seats not only mounted to the floor but also to the rollcage at the shoulder level. We call this back-mounting. 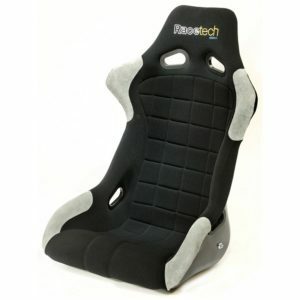 Racetech now offers two seat models and four sizes meeting the FIA 8862-2009 standard. 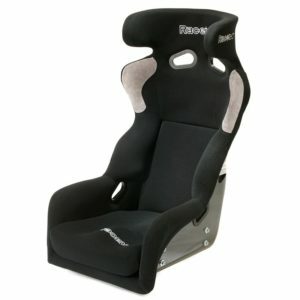 This latest FIA standard is much tougher meaning only the most well-engineered seats can pass. 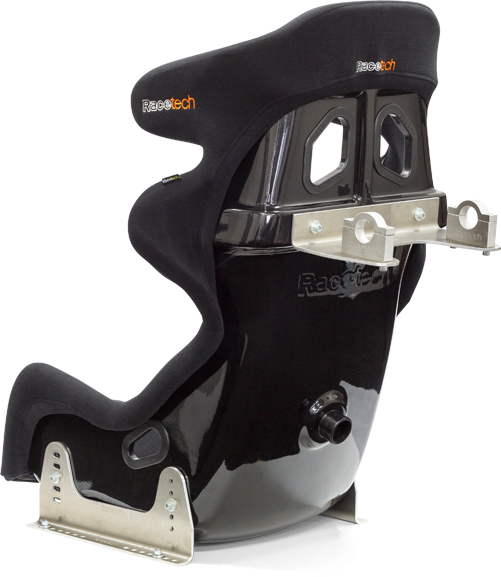 These seats must achieve a maximum deflection when test loads are applied in a lateral and rearward direction, simulating a deceleration of about 70G! 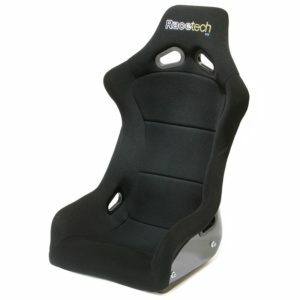 The Racetech 119, 129 and 229 series seats are all designed with back-mount capability. By laminating threaded inserts into the seat shoulder channel, we allow back-mount brackets to be simply bolted to the shell. Any lateral loading of the seat is then effectively shared with the vehicle chassis during cornering or in a lateral or rearward impact. 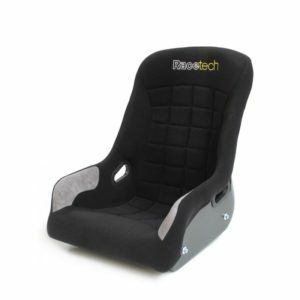 Together with the latest in CNC and robot technology, Racetech’s skilled craftsmen and women build every Racetech seat in-house. Keeping every aspect of production under one roof allows strict quality controls and improves speed of response as reliance on outside suppliers is limited. 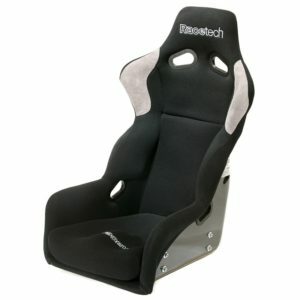 Unique in the world of motorsport seats, Racetech’s top-of-the-line shells use a combination Kevlar/carbon weave along with more traditional carbon fibre twills in order to provide the ultimate in strength, stiffness and penetration resistance. This use of layered materials builds strength in crucial places while keeping weight to a minimum. A design feature of the 119, 129 and 229 series is that the seat cradles the shoulders, providing what some people term ‘full containment’. Working in conjunction with the harnesses, this contains the driver’s body during cornering and in an impact. The result is reduced driver fatigue, improved chassis ‘feel’ and most importantly, a safe driver. 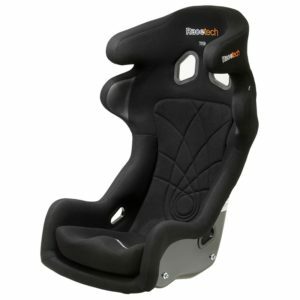 Racetech has a wide variety of seat options which not only meet but exceed FIA (Federation Internationale de l’Automobile) homologation standards. 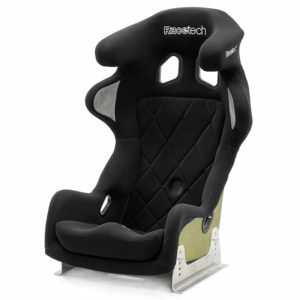 To achieve these standards the seats must go through physical testing to withstand simulated impact loads. 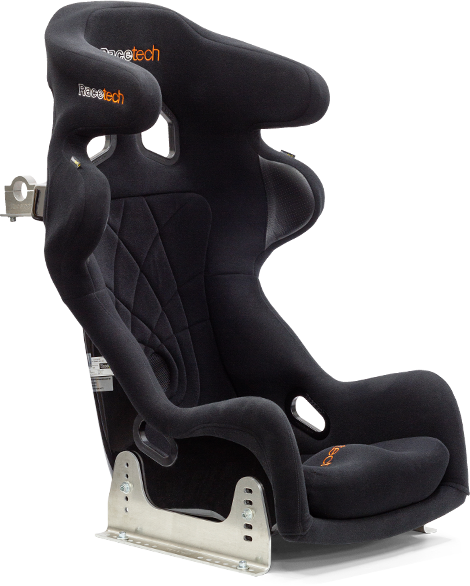 Using a FIA homologated seat is a requirement in many forms of motorsport.